Why drug rehab programs for teens and young adults are important? Adolescents and young adults have different treatment needs than older substance abusers. In addition to issues involving addiction and withdrawal, these young people may need help with education, co-occurring mental health conditions, family life, and more. Since most young drug abusers do not see the need for treatment, an intervention is often required. Families should have a program picked out in advance, so the teen can be transported to care when the meeting is over. Drug and alcohol experimentation is common in adolescence and young adulthood. The National Institute on Drug Abuse (NIDA) reports that 70 percent of teens have tried alcohol by their senior year in high school, 50 percent have abused an illegal drug, 40 percent have smoked a cigarette, and 20 percent have used a prescription drug recreationally, or for nonmedical purposes. Breaking it down further, the Monitoring the Future survey that explores drug and alcohol use among high school students reported that in 2014, approximately 20.3 percent of 8th graders had abused an illegal drug in their lifetime, while 37.4 percent of 10th graders had and 49.1 percent of 12th grade students reported lifetime drug abuse. College students also abuse drugs at relatively high rates as 36 percent reported past-year marijuana abuse. College-age young adults not attending school abused marijuana close to twice as often, according to NIDA in 2013. Marijuana abuse seems to be on the rise. Alcohol, marijuana, and tobacco are the most commonly abused psychoactive substances by teenagers, the U.S. Department of Health and Human Services (HHS) Office of Adolescent Health publishes. Some levels of experimentation and risk-taking behavior are expected at this age, as the prefrontal cortex and other regions of the brain involved in impulse control, willpower, and healthy decision-making are not fully developed. Abusing drugs or alcohol regularly before the brain is completely formed can increase the odds of becoming addicted to these substances. Adolescents and young adults may have different treatment needs than older substance abusers, and many in this population may not see the need for treatment on their own. Secrecy about substance abuse and denial may be common in young substance abusers, and often treatment may initially be sought for them by their parents or guardians. Age-specific and specialty programs catering to teenagers and young adults may be beneficial in reducing problematic drug or alcohol usage as well as enhancing addiction recovery. Even if a young person does not yet have a drug or alcohol addiction or substance abuse disorder, this does not mean that substance abuse may not be problematic and prevented or reduced. Abusing drugs at a young age raises many medical and mental health concerns, negatively impacts someone on a social, economic, or interpersonal level, and decreases work or school production. Drug abuse can exacerbate underlying mental health issues and may lead to addiction, as the National Survey on Drug Use and Health (NSDUH) reported that in 2013, three times as many adults who were at least 18 years old had a substance abuse or dependency issue when they abused marijuana before age 14 than those who turned 18 before trying the drug. Young adults and teenagers rarely seek out drug rehab or ask for help with drug abuse directly. The National Institute of Health (NIH) publishes that teenagers are less likely to seek drug treatment independently than adults are. School, community outreach, and prevention strategies and programs that discuss teenage substance abuse and addiction provide resources that can help individuals and families better understand the potential dangers of drug abuse. These programs may be successful in reducing drug abuse and recognizing that a problem exists. Routine medical appointments may screen for teenage drug use, and primary care physicians may be able to recognize problematic drug use and refer an individual to treatment or help set up an intervention. An intervention is a structured meeting set up by families and loved ones impacted by an individual’s substance abuse. Often, a trained professional can meet with those involved to facilitate the success of this meeting, with the goal of getting an individual into a treatment program. Legal pressures and court mandates are common reasons a young adult may enter into substance abuse treatment. The Centers for Behavioral Health Statistics and Quality (CBHSQ) Report published that in 2011, more than 400,000 young adults between 18 and 25 years old were admitted to a publicly funded treatment program for a drug or alcohol abuse or dependency. Most (more than 450 on average each day) were referred to substance abuse treatment programs via the criminal justice system. The journal Alcoholism Treatment Quarterly used several methods to determine that even if treatment was not initially voluntarily sought, external pressures could help increase the effectiveness of substance abuse treatment. In 2013, just over 5 percent of all American teens between the ages of 12 and 17 battled a substance abuse or dependency issue. Young adults between the ages of 18 and 25 may suffer from substance dependence or abuse concerns at rates over three times as high, NSDUH reports. Methods that have been scientifically tested and have evidence to support their usage are often called research-based treatments. These treatments combine scientific evidence and the knowledge and personal experiences of a treatment provider. 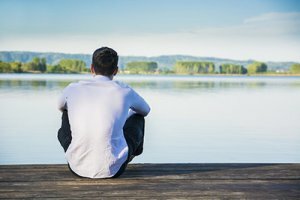 While many of the same treatment models that are used for adults may be used during drug rehab for a teenager or young adult, some of the specifics of the program may differ to address the unique circumstances of this population. Developmental level, drug or drugs abused, potential risk factors or causes of drug abuse, gender, motivation for change, and co-occurring mental health disorders may all affect treatment methods. Two-thirds of young substance abusers may also battle mental health issues like depression, anxiety, attention-deficit hyperactivity disorder (ADHD), or other disorders, per CBS News. When substance abuse and mental illness or mental health concerns co-occur in the same person at the same time, treatment methods are often integrated so that medical, mental health, and substance abuse treatment providers can all work together towards recovery from all issues. Teenagers may be less likely to suffer from withdrawal symptoms, very strong cravings, and a loss of control over their drug abuse than older individuals, NIDA also reports. When drug dependence and withdrawal symptoms are present, medical detox is often one of the first stages of treatment. While no medications are currently approved by the FDA, according to NIDA, to treat individuals under the age of 18, medical detox and the use of pharmaceuticals to reduce specific side effects of withdrawal may be useful. Drug abuse can increase the risk for suicide in young adults and teenagers. The American Academy of Child & Adolescent Psychiatry reports that suicide is the third most common cause of death for individuals between the ages of 15 and 24 in America. Behavioral therapies like Cognitive Behavioral Therapy (CBT) may be particularly useful during drug rehab in both residential and outpatient treatment programs for all ages. Individuals will attend group and individual therapy sessions in an attempt to better understand how social, personal, and environmental triggers may lead to substance abuse, and how negative and self-destructive behaviors and thoughts can be transformed into more positive and healthy ones. With teenagers, peer influences can be very important. It may be helpful for a therapist or substance abuse counselor to have specific age-related training and understanding in order to keep group sessions on track and away from potential drug abuse glorification, to prevent potential harassment, and to encourage healthy interpersonal relationships. Trained professionals can use CBT methods to enhance self-esteem levels. Low self-esteem may account for risky and self-harming behaviors like drug abuse. CBT can also help improve self-control, anger management, conflict resolution methods, and problem-solving skills. Adult therapy techniques may not be as effective for teenagers. Teens may require a certain level of firmness as well as respect, optimism, and clear boundaries and consequences set forth in a non-confrontational manner, as published by SAMHSA’s Treatment Improvement Protocol (TIP). Group sessions also may include education on substance abuse and the dangers it may present as well as life skills training. Young adults and teens may benefit from age-specific training and education, as younger individuals and students may need help improving school habits. Young adults may benefit from job or occupational skills training. Substance abuse habits may need to be replaced with healthier ones, and drug rehab can introduce new hobbies or creative outlets. These can help individuals to comply with a structured schedule to help with time management and excessive downtime as well. Since teens and young adults may not perceive a need for treatment and seek it on their own, individuals mandated into treatment may need help gaining internal motivation, or willingness, to change self-destructive behaviors, including substance abuse. Motivational Interviewing (MI) is a technique used that accepts individuals as they are while helping them to realize the need for change. Young people may struggle with personal identity and feeling that their feelings are worthwhile. By helping individuals to learn to accept that their feelings are valid, and learn how to positively impact and modify them, teens and young adults may gain the motivation needed to stop engaging in risky and self-harming behaviors. MI is nonjudgmental and non-confrontational. It strives for a high level of trust between the treatment provider and the individual in a mutually respectful environment. Other methods of improving motivation during drug rehab may be a system that provides prizes, or vouchers for prizes, for participation in treatment and for every clean drug test administered. It generally doesn’t matter how the motivation is formed, as long as individuals recognize the need to address their substance abuse. There are many periods in a person’s life that may be high-risk times for initiating substance abuse, such as starting at a new school, entering college, moving out of the family home for the first time, starting a job, and other transitional times, NIDA reports. These times may be particularly important for families and loved ones to provide constant support and encouragement, and to talk to teens and young adults about the potential perils of substance abuse. A non-supportive, or high-stress, environment as well as childhood trauma may increase the risks that a child will abuse drugs or alcohol, possibly as a form of escape. It can be highly beneficial if individuals can understand what may have triggered substance abuse in the first place. Also, the environment a person returns to after treatment can be incredibly important in determining whether or not a person may return to drug use. Families and loved ones who are involved in treatment and recovery can help to support individuals during and after rehab and reduce potential relapse. Families and loved ones, as well as community members, can all positively impact recovery for teenagers and young adults. A positive and supportive environment may be tantamount to recovery. Caregivers who are involved in treatment, understand its importance, work with treatment providers, and are engaged in recovery are more likely to see successful recovery in their loved one than those who aren’t involved, the National Child Traumatic Stress Network (NCTSN) publishes. Family therapy sessions and family-based approaches emphasize that changes may need to be made to the family dynamic in order to support recovery. Communication and relationships may need to be examined and repaired. Some treatment approaches, like the Systemic Family Intervention Program, are two-day intensive treatment programs used in tandem with family therapy sessions, that address anything that may impact or affect the family unit. This approach makes an effort to bring families and loved ones back together instead of focusing solely on the individual battling addiction. Substance abuse and addiction impact entire families, and family-based approaches may improve overall quality of life and enhance recovery. Peer support, or 12-Step self-help programs, may also be beneficial during rehab and recovery. These groups can provide a sympathetic and supportive peer network that is dedicated to abstinence and preventing relapse. The whole person should be treated in drug rehab, and all medical, emotional, social, financial, occupational, and other needs should be explored and managed. For example, transportation to services may be an issue for younger individuals, and treatment programs may need to help families come up with a viable plan for this. A quality treatment program will ensure that every aspect of recovery is considered for a teen or young adult. With comprehensive, managed care, teens and young adults can achieve recovery that will last for life.